Gotta love Halloween! We get to dress up as anything we want, pretend a little, and maybe live out a fantasy for a few hours. 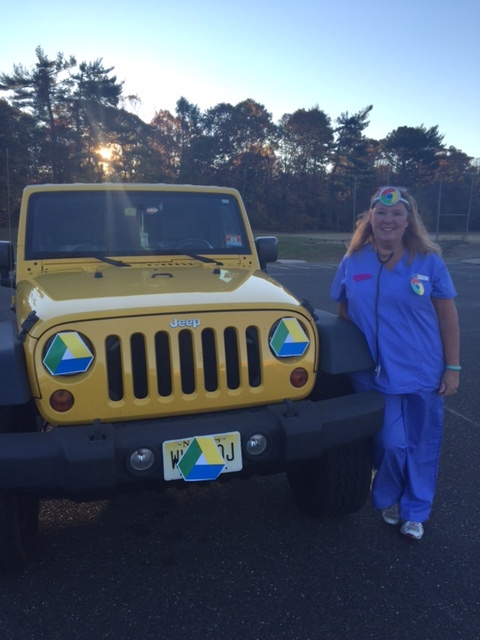 When I heard that all of the teachers at my school were planning on wearing scrubs for Halloween, an idea popped into my head and it just kept popping! 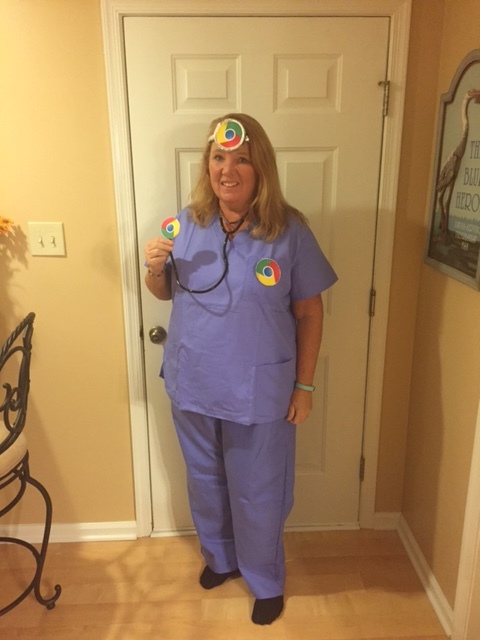 An elementary computer teacher wearing scrubs…hmmm…whatever could that inspire? 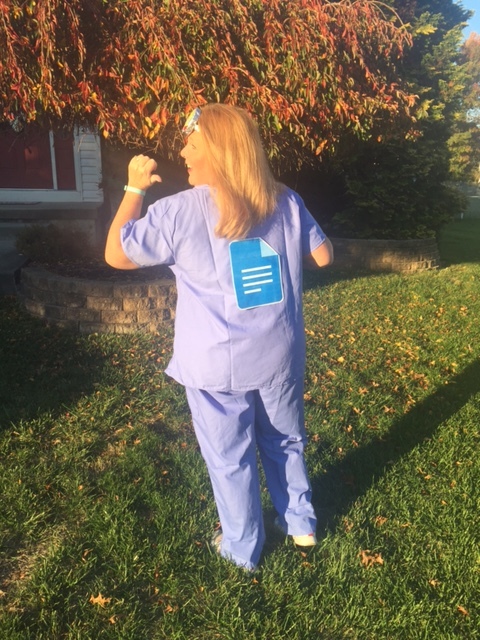 Well…I just knew that I had to be a Google Doc! 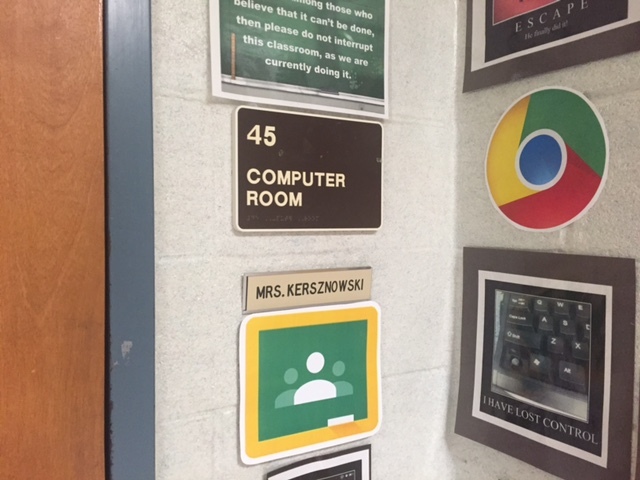 …I arrived at my Google Classroom…. 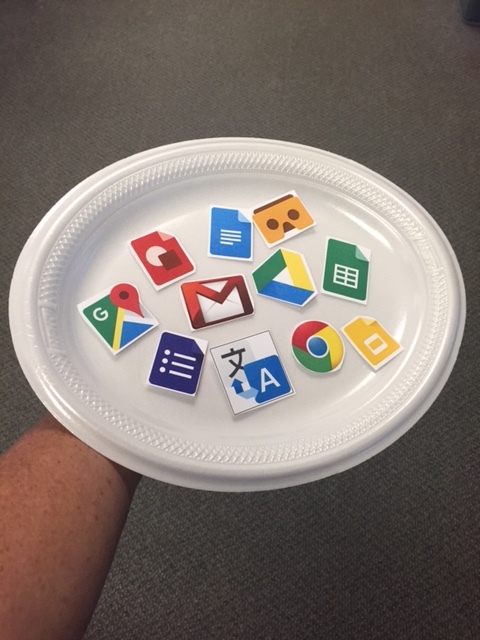 …and even brought some Google apps on a platter to share with trick-or-treaters! 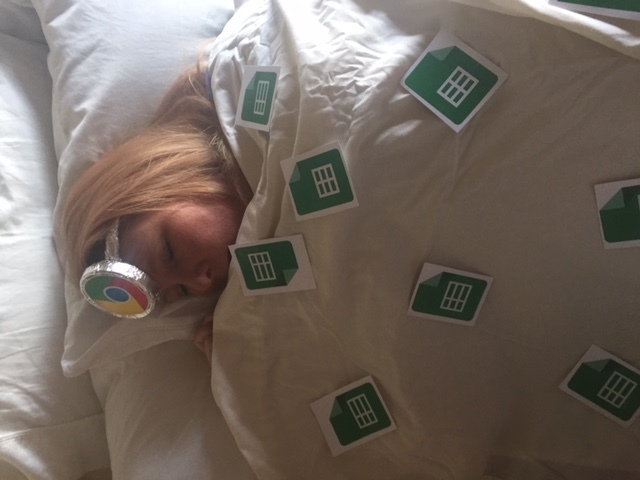 I had such a happy, Googly day living in a Google world. 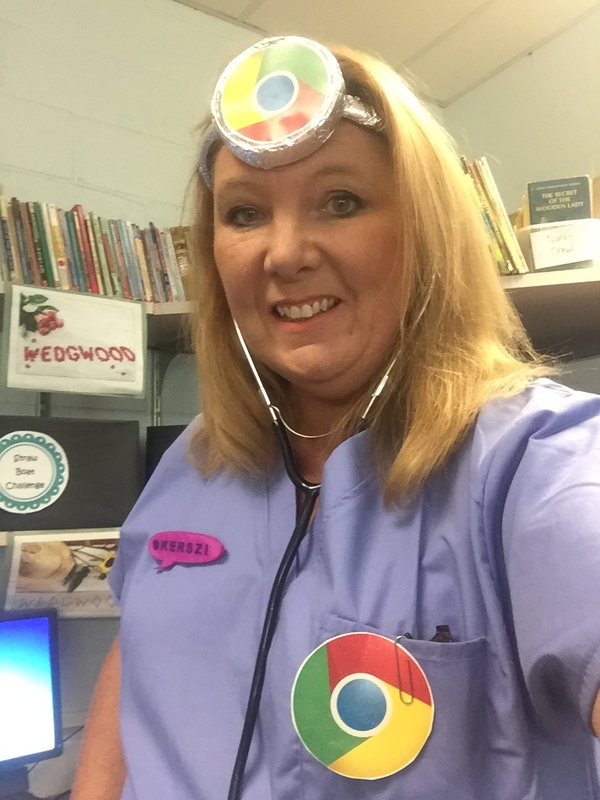 I’m sad that it has to end, because we’re not a GAFE school – yet! I’m still hoping to do some persuasive convincing, and maybe one of these days I’ll put a Google Drawing of a smile on my face and it’ll be a little more than just a Halloween fantasy! Highly creative! 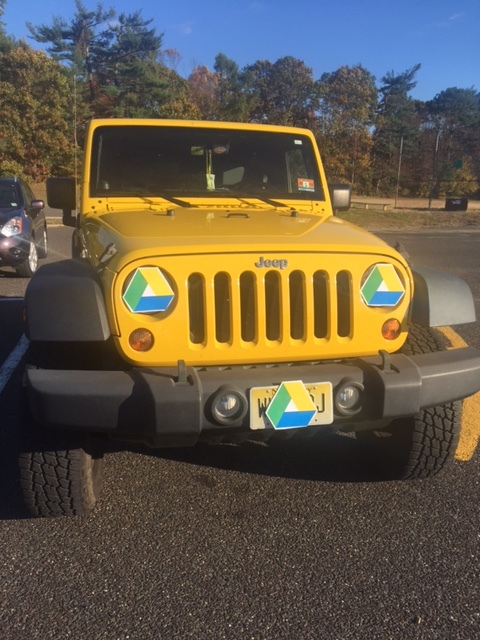 Hopefully this will inspire the powers that be to go Google!